Full color illustration of the equine, with emphasis on location of the right liver in relation to the colon, cecum, right kidney, duodenum, and associated anatomical structures. 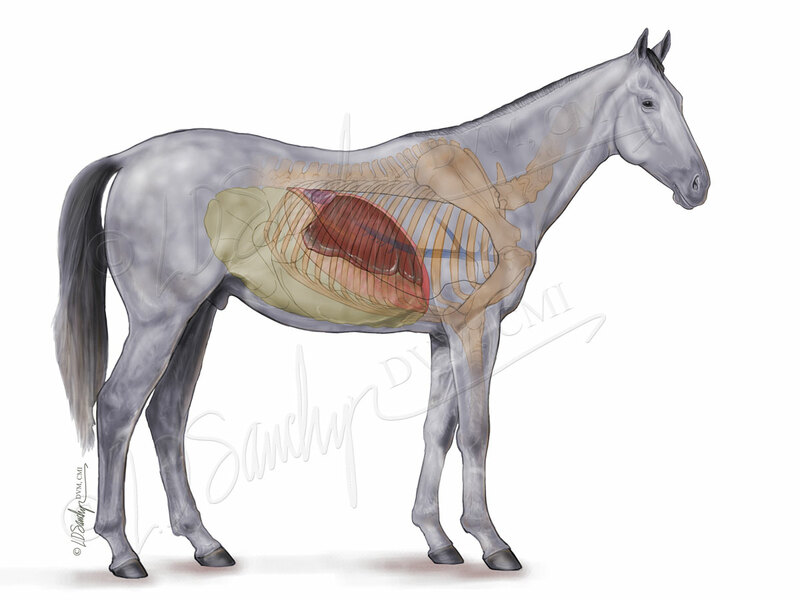 Featured in the AAEP Frank J. Milne State-of-the-Art Lecture, “The Equine Liver in Health and Disease”, by Thomas J. Divers, DVM, DACVIM, DACVECC.